A Tap, Bed and Texture Contractor is well aware this process is vital to ensure a good, satisfactory outcome. The finished product of texturing is the biggest cosmetic feature in a home. Our construction services expand to include Drywall (Sheetrock), Tape, Bed and Texture. Our construction services are based in Burleson, Texas and our service area spreads to Weatherford, Aledo, Cleburne Keen, Alvarado, Arlington, Mansfield and Fort Worth. 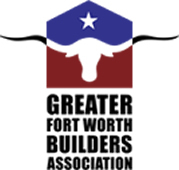 Our quality work spreads throughout Tarrant County, Hood County and Parker County. We cater to building contractors and home owners regardless of a remodeling or new home construction. It takes years of experience to spot bad tape joints, proper drying time and job readiness. All of our superintendents are trained and qualified to inspect the quality of each job.